This week I’m taking a break from my series (12 Lessons…) and thought I would share with you a very important and highly relevant blog post from Randy Alcorn (www.epm.org). I have always considered Randy to be one of the best writers in evangelical Christianity today. He has a very sharp theological mind and a strong, robust grasp of Scripture. Many of you are aware of the recent book authored by Rob Bell, entitled Love Wins. In Bell’s book, he promotes a form of Universalism (Bell’s description is that virtually everyone will get into heaven – no matter what they believed here on earth and that people will have a second chance after they die to turn to Christ if they didn’t do so during their lifetime). There were numerous aspects of Bell’s book that were very troubling. In response to Love Wins, there are two new books being released in the next few weeks. 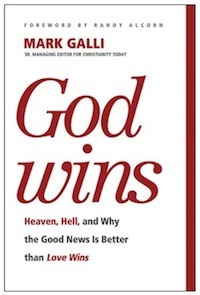 One is by Mark Galli (senior managing editor for Christianity Today magazine) entitled: God Wins: Heaven, Hell and Why the Good News is Better than Love Wins. The other book is by Francis Chan and is entitled Erasing Hell: What God said about Eternity, and the things we made up. I highly recommend both Galli’s and Chan’s books. A few days ago, Randy Alcorn posted his thoughts about Mark Galli’s new book, God Wins, on his blog. It was so good that I thought it would be well worth passing along to as many people as possible. Here is Randy’s blog post in its entirety – I believe it’s well worth 2-3 minutes of your time to read. 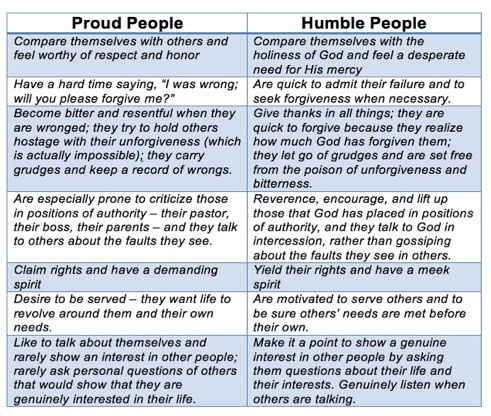 As I wrap up “Lesson 7” in this series on “What I Wish (as a Pastor) that I had Known, Understood, Believed and Lived 30 Years Ago,” I want to add seven more characteristics of “Proud People” vs. “Humble People” to the list I shared with you last week. This list has come primarily from Nancy Leigh DeMoss’ excellent book entitled, Brokenness: The Heart God Revives. Have you noticed that people typically do not like “proud, arrogant people?” Nor do they enjoy being around them. And yet, even though we know this to be true, we find ourselves (at times) somewhere on the left side of the above list. This is part of maturity and growing in Christ. None of us have “arrived” in our sanctification process (nor will we this side of heaven). 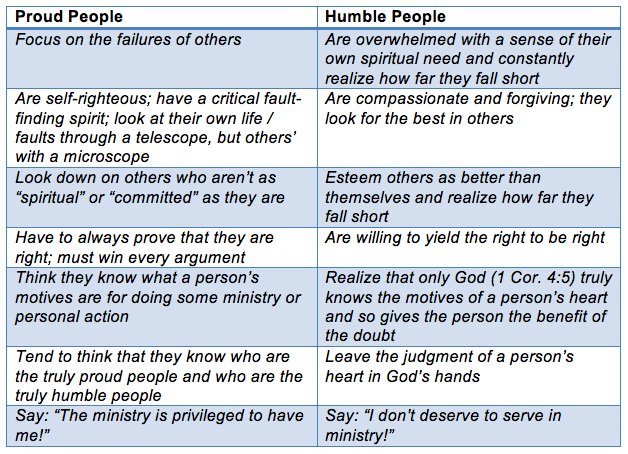 There are several ways to detect humility in yourself or in others. 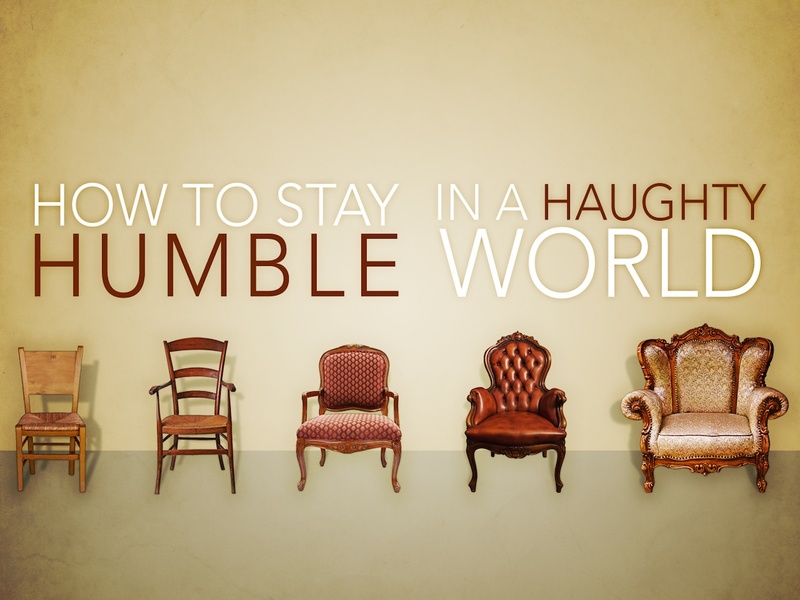 Here are seven common ways to spot a humble spirit. Humility does not demand its own way. If you think “It’s my way or the highway,” or if you often feel the need to defend yourself, chances are your humility level is low. Humility exudes an attitude of service. You are there to help people, not to be helped. 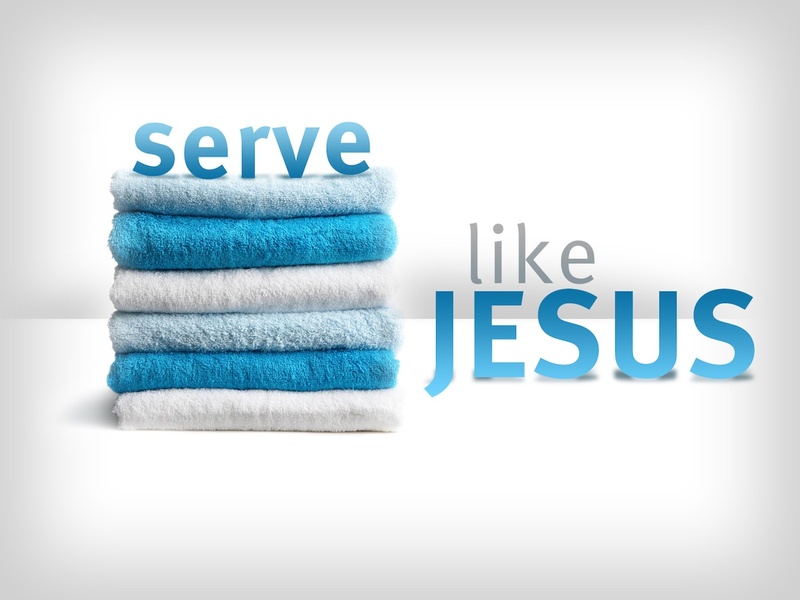 Jesus said, “I came to serve, not to be served.” It is not a consumer-oriented atmosphere where you shop around for who or what can give you the best deal. Humility does not seek attention or credit. It is not concerned with having its name placed in the program, or on the dedicatory plaque, or even spelled correctly. There is almost a feeling of awkwardness that comes over humble people when the spotlight shines in their direction. Humility forgives when offended, but is hard to offend. Perhaps the best way to avoid being offended by others is to become humble. Humble people do not read into others’ responses. Therefore, they are free to be honest and innocently naïve to the hate generated by others. At the same time, when hate is overt and obvious, they are at liberty to forgive, to release others from a false sense of obligation to love a certain way. Humility does not criticize others. Finger pointing, opinion giving, and condemnation rarely emanate out of a pure, selfless attitude. Most criticism is personally oriented and seeks to punish another. Yet, humble people are not confined by the fear of speaking up for truth. They can be authoritative without being authoritarian because God is their motivation for making suggestions. Humility produces a teachable spirit. Good leaders are learners. That is why leaders need to learn humility. Humble people know that they do not know everything, and recognize the multiple nuances that operate when more than one perception is involved in a situation. Humble people practice one of the most important behaviors of learning—they listen a lot. Beware the proud leader claiming to have all the answers. Humble people ask questions more than they give answers. Humility is gracious and thankful. Perhaps this is a lost quality in our culture. We are all too aware of our rights and demand them even beyond what normal law affords. If you received a coin with humility on one side, thankfulness would be on the other. It is very hard to be truly gracious and proud. Jesus told the parable of the ten lepers, where only one returned to say, “Thanks.” The New Testament reminds us to give thanks, always. We are common containers for the most humble and dirty uses; never, ever fit in ourselves to be brought into public. That’s how it is in the ministry. Our only value is as containers. It’s the treasure that we bring that has the value. That’s why the Lord didn’t choose many mighty or noble. The New Testament was not written by the elite of Egypt. It was not written by the elite of Greece, or Rome, or even Israel. . . . The most distinguished philosophers were at Athens; the most powerful leaders . . . of men were at Rome; and the religious geniuses were in Israel’s temple – and God never used any of them! 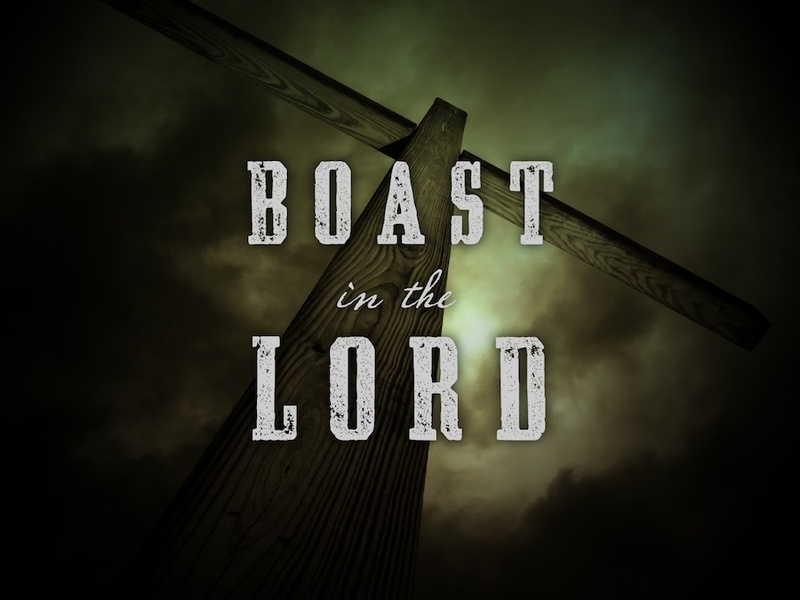 He just used clay pots. . . .
We have peasants and fishermen, smelly guys, and tax collectors, clay pots, who were chosen to hold and to proclaim and to write the priceless treasure of gospel truth. If you want to be used mightily by God, get yourself out of it. Learn to see yourself as a garbage pail, or, in the words of Peter, clothe yourself with humility. We ministers are weak, common, plain, fragile, breakable, dishonorable, and disposable clay pots who should be taking the garbage out – but instead we’re bringing the glory of God to our people. The amazing thing is that such weakness does not prove fatal to the gospel, because the gospel is not out of us. The great reality is, this is essential to the gospel, because it makes crystal clear where the power really lies. We are unworthy servants, but God has given us the treasure of the gospel. What a privilege! the more I realize how far I need to go to be a truly humble person. the more I understand why pride is considered the “chief” of all sins. the more I realize that Jesus is the perfect and complete embodiment of what “true humility” looks like. the more humbled I am at my own pride. One of the most helpful tools that I have come across that helps to clearly distinguish between Proud, Unbroken People and Humble, Broken People is a list that Nancy Leigh DeMoss (from her book Brokenness: The Heart God Revives) put together from her study of Scripture and her experience in both life and ministry. Has it ever occurred to you the way that Jesus described himself in Matthew 11:28-30? It’s the famous passage we love to quote, “Come to me all who are weary and heavy laden…” But did you ever notice what Jesus says in the next verse? “…for I am gentle and humble in heart.” The very Son of God, who flung the stars into space (Colossians 1) and created everything there is, modeled for us what “humble in heart” looks like. “Rather, it means you see yourself as God sees you: you have infinite and inherent value (given by God), but no more value than anyone else. It means being willing to accept God as the authority over your life, rather than insisting on being your own supreme authority. And since you accept God as the supreme authority over your life, and because you are of equal value but no greater value than everyone else, you are willing to order your life in such a way as to be a servant to others. Humility is one of those strange characteristics, in that when you know you have it — you’ve lost it! It is one of those virtues to be highly sought after but never claimed; because once you’ve claimed it — it’s forfeited!